There are two basic types of birthmarks: red or pigmented. Red or vascular birthmarks are most commonly seen, and are caused by an irregularity in the blood vessels. These include port wine stains and hemangiomas. Pigmented birthmarks, known as nevus (singular) or nevi (plural) are brown in color and are often less pronounced. Many birthmarks fade away before children reach school age, but they may remain and undergo changes over time. Most birthmarks are harmless, and many fade away in the first few years of life. 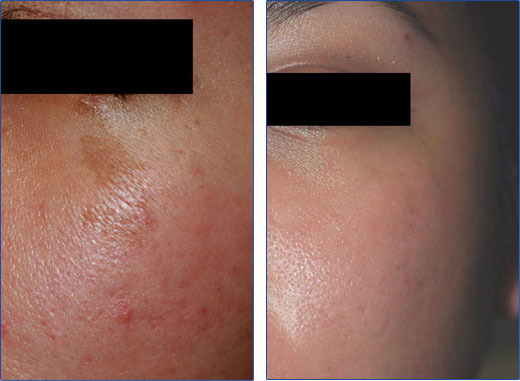 But for those that persist,IPL offers a revolutionary birthmark treatment that completely avoids the complications and side effects of alternative options like corticosteroid medications, surgery and freezing.IPL is a low-trauma treatment for children, as well as a true answer for adults who want to solve the problem safely and simply.